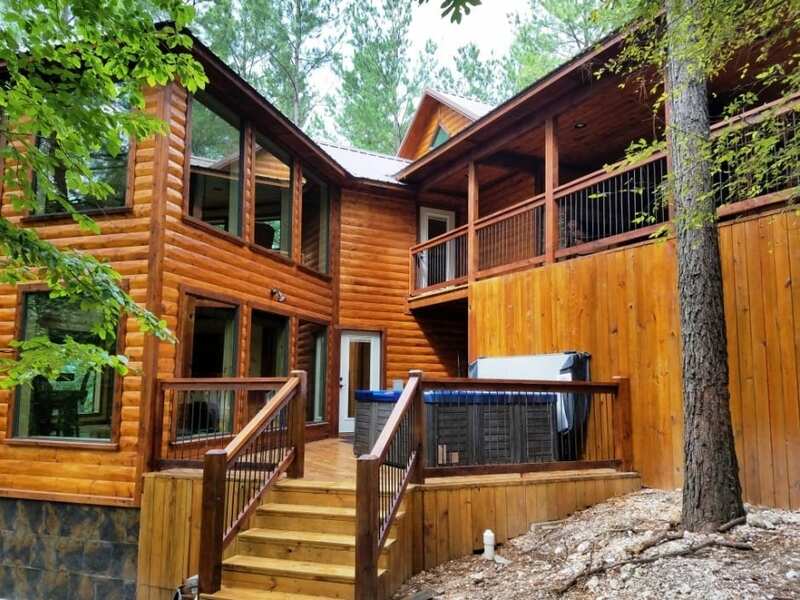 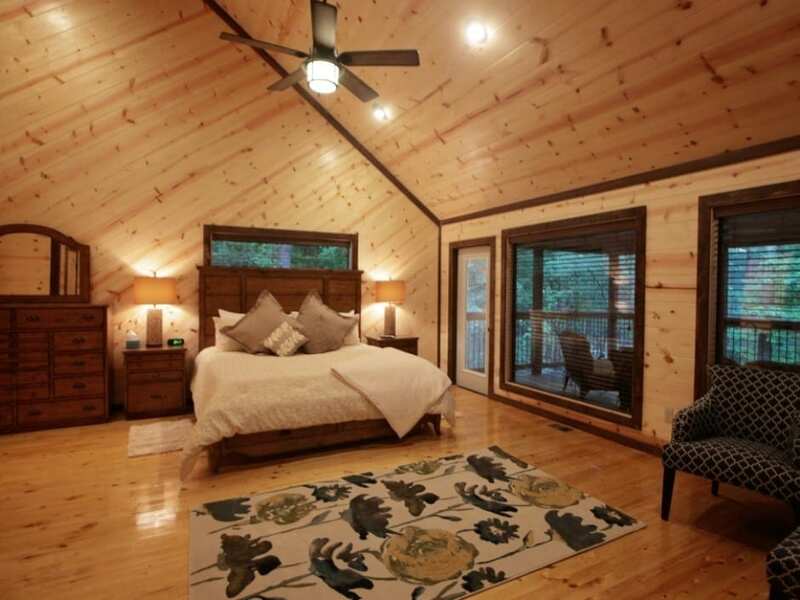 Diamond Point is a 2 bedroom master suite luxury cabin, completed in August 2016. 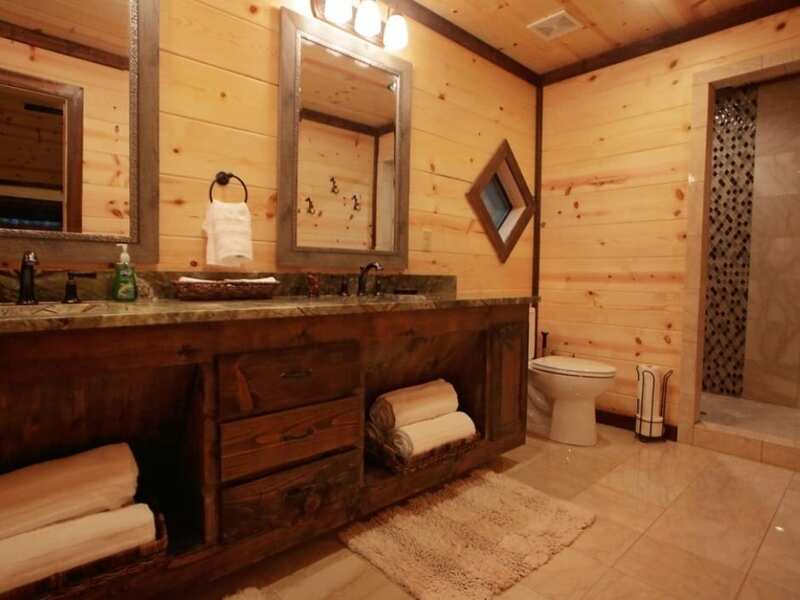 The rustic exterior of the cabin blends nicely with the wooded surroundings. 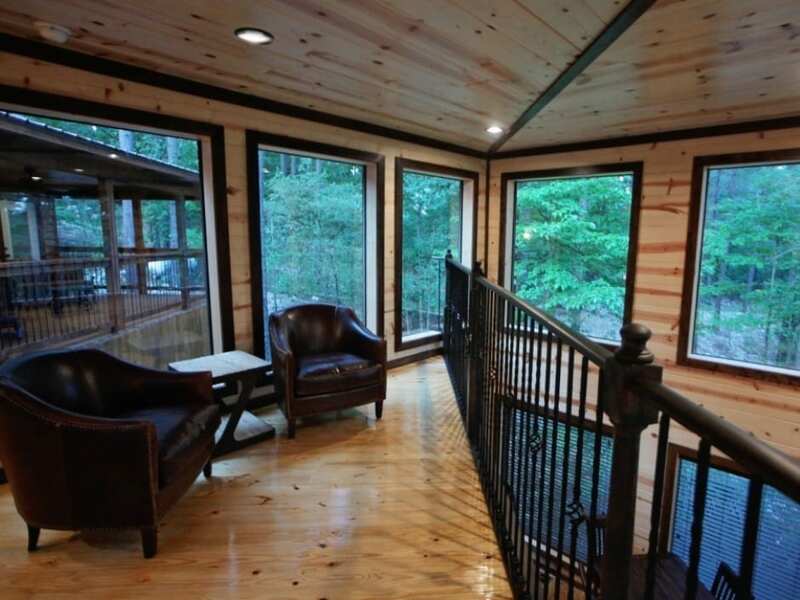 Once you open the door and step in you will be awestruck. 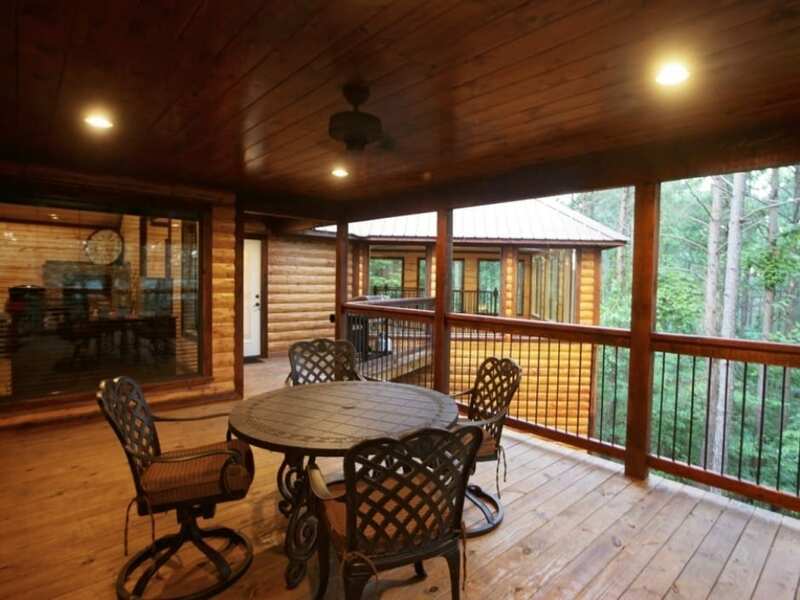 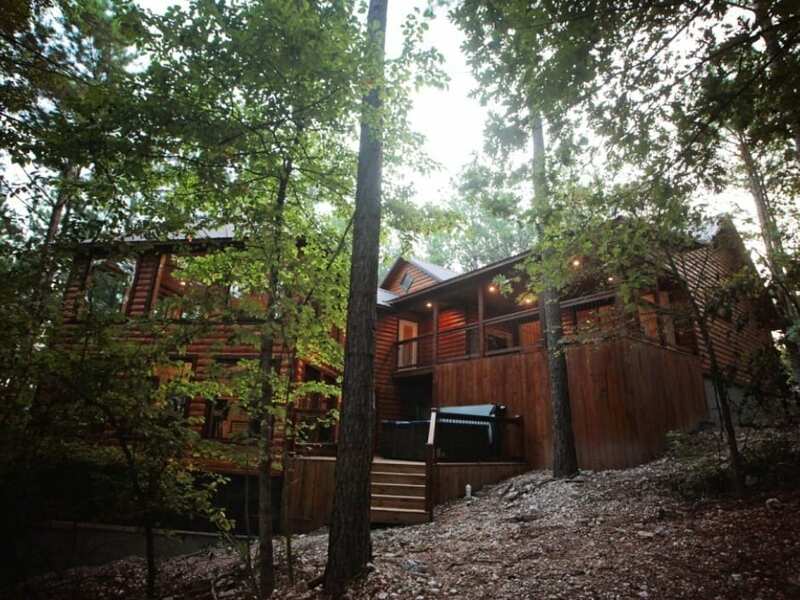 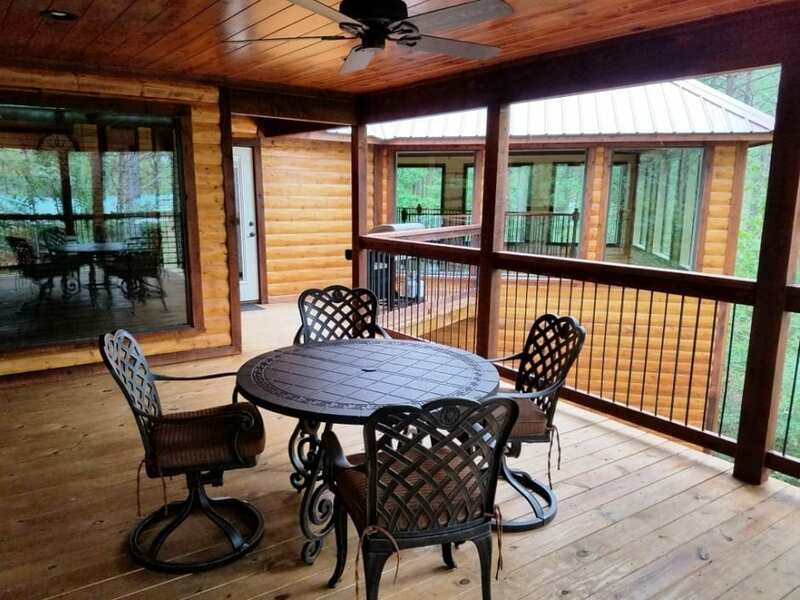 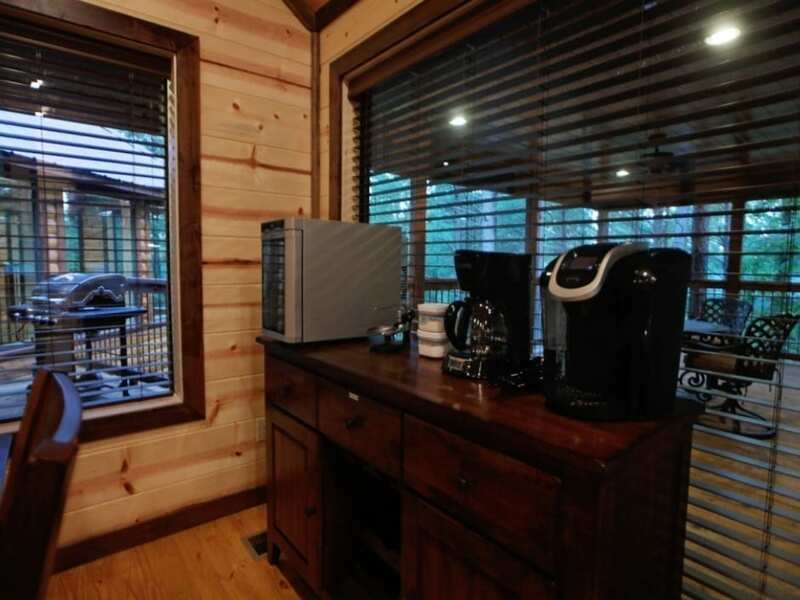 The cabin is furnished with luxury and no detail has been overlooked in order to provide a relaxing, pampered get away. 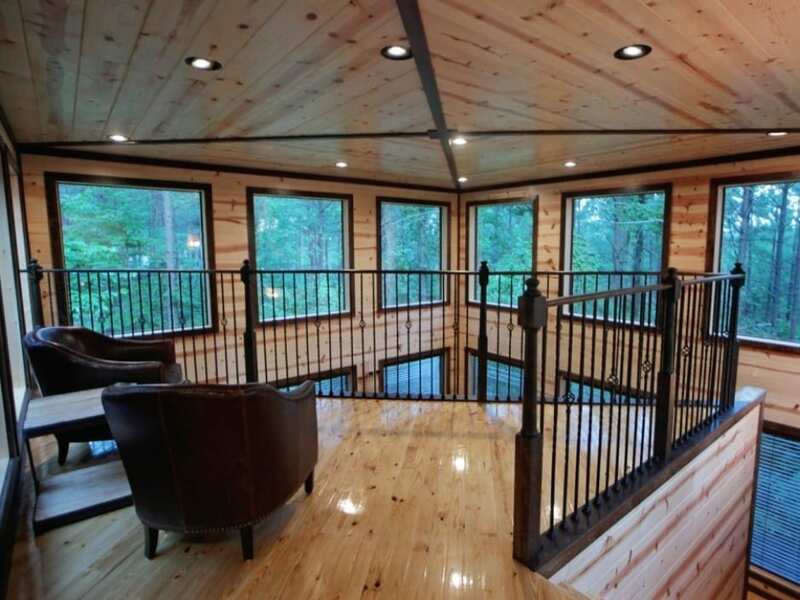 You will be immediately drawn through the vaulted living space to the loft, where you will look down into a 2 story “diamond solarium” game room. 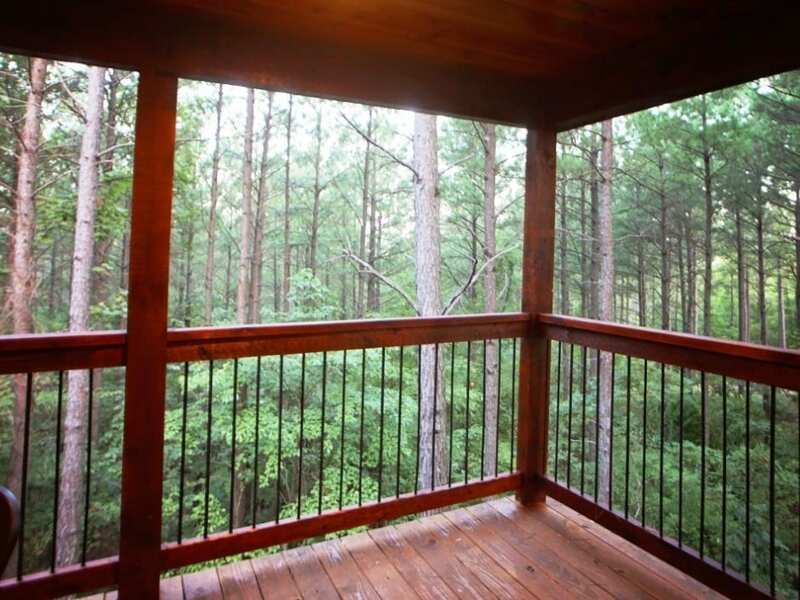 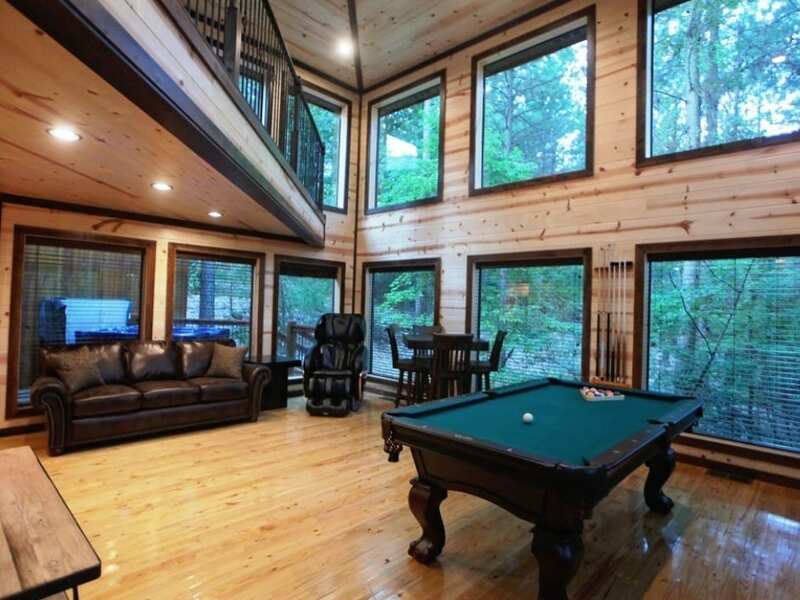 The 21 large window solarium provides a 270 degree view of trees and occasional wildlife, placing you in the thick of the woods, while at the same time enjoying the comforts of the indoors. 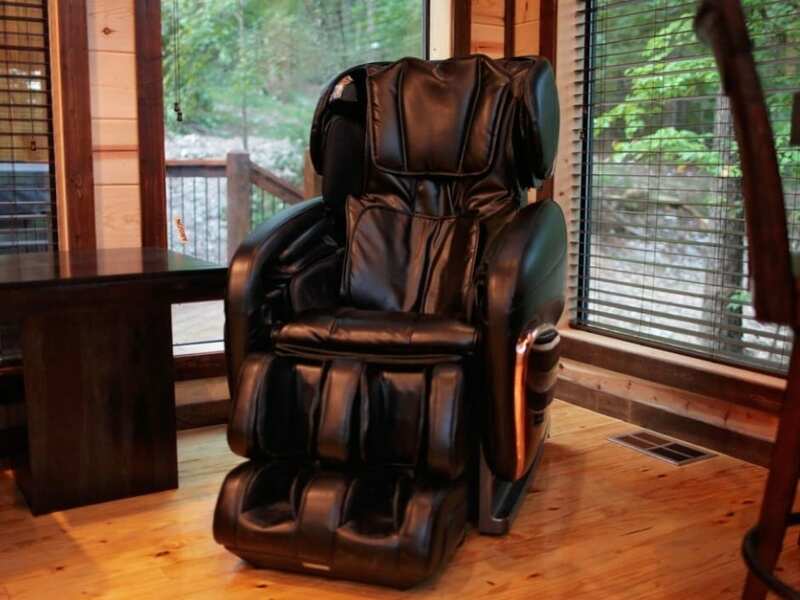 As you follow the steps downstairs you enter the game room where you can play a game of pool or be pampered head to foot in the full body body massage chair. 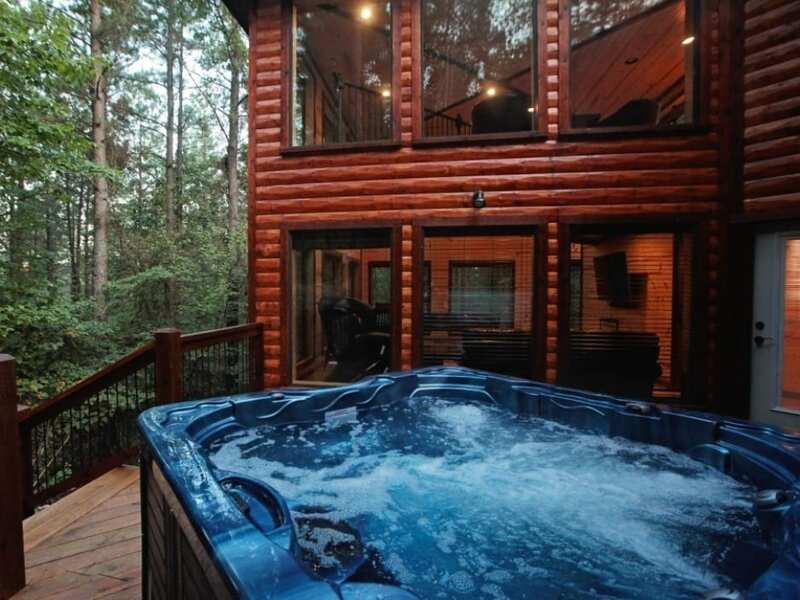 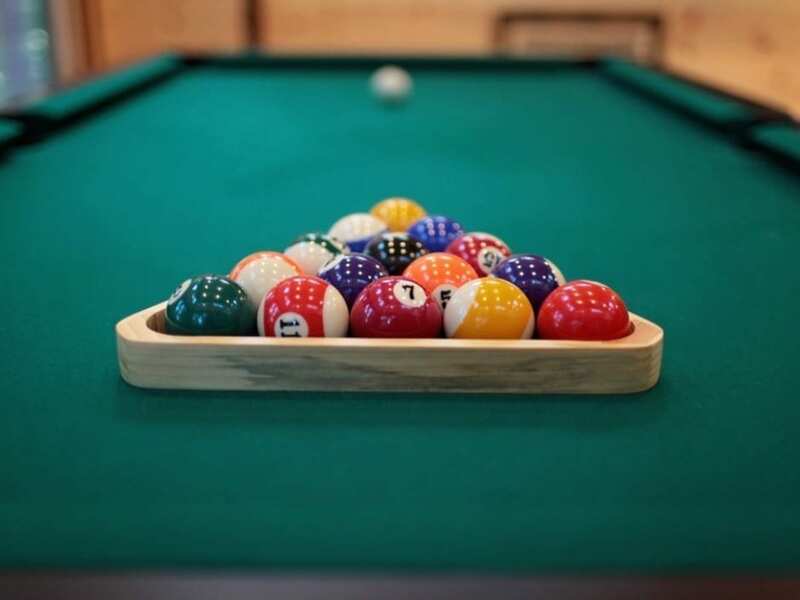 From the game room step out onto the spa deck and indulge in the large 6 person hot tub. 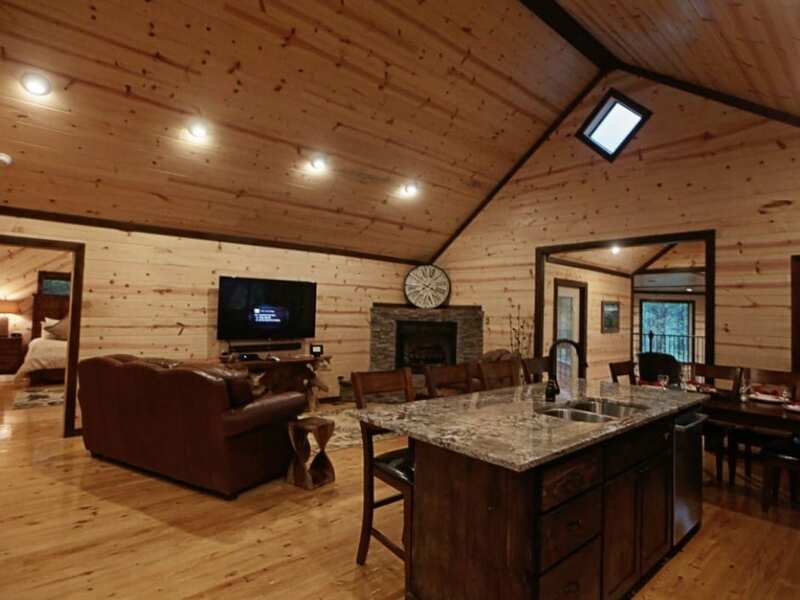 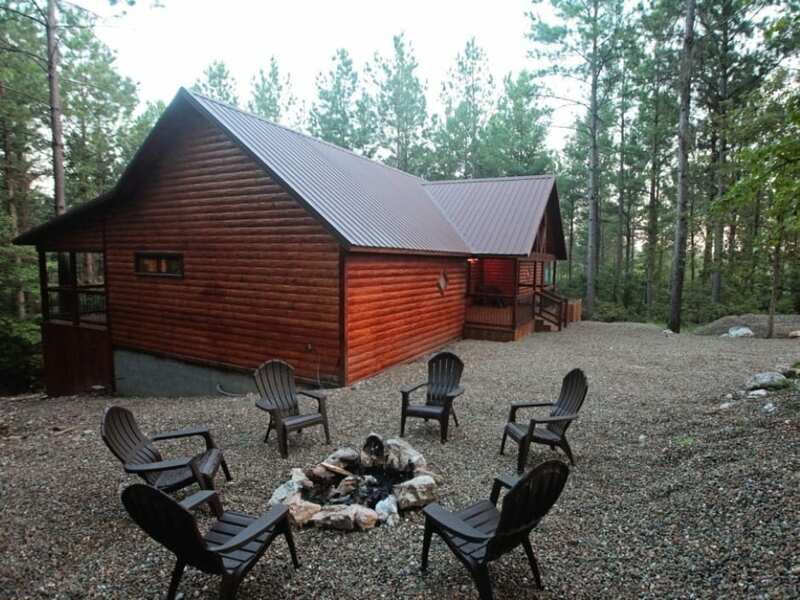 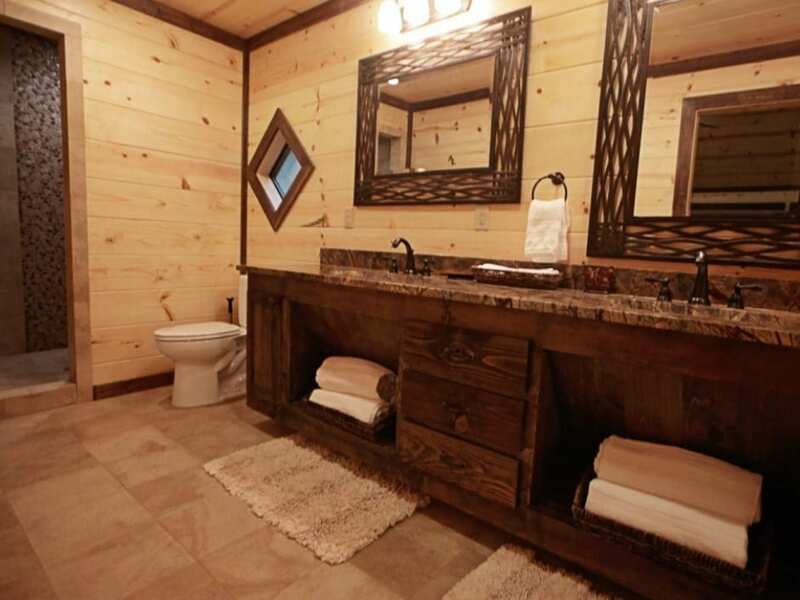 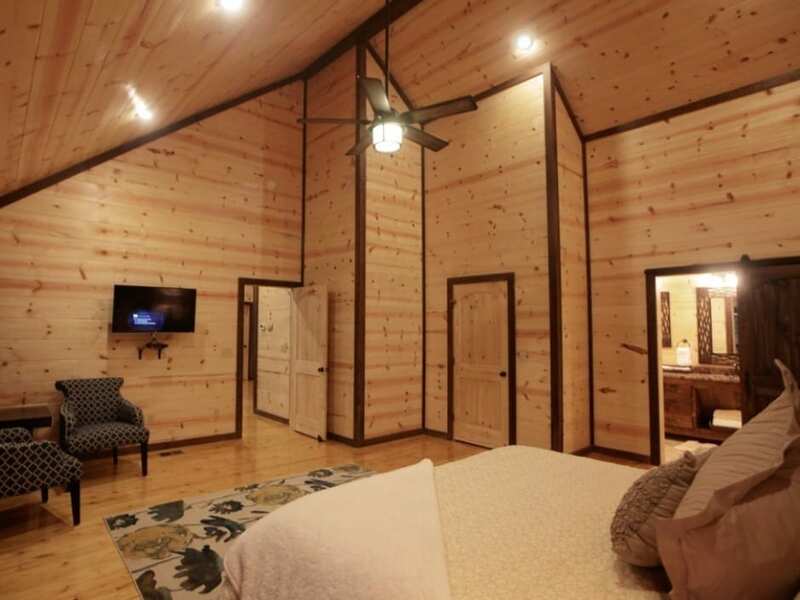 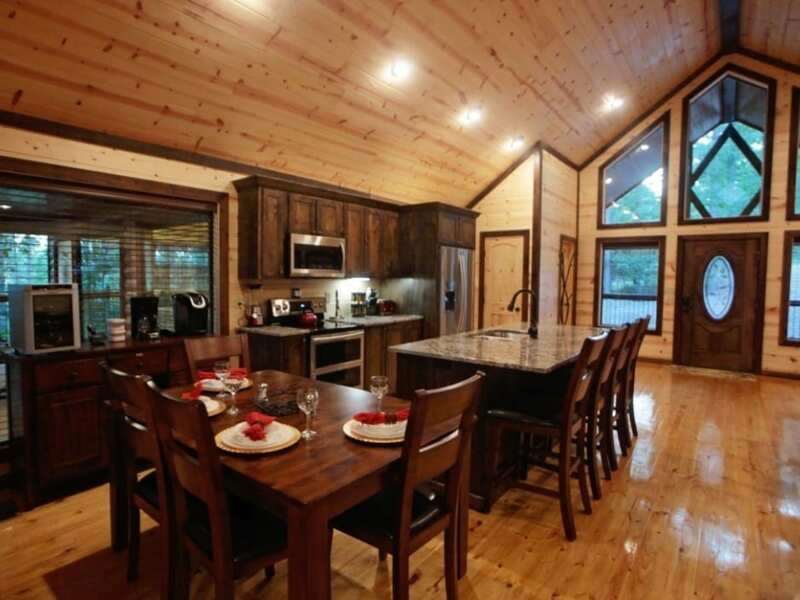 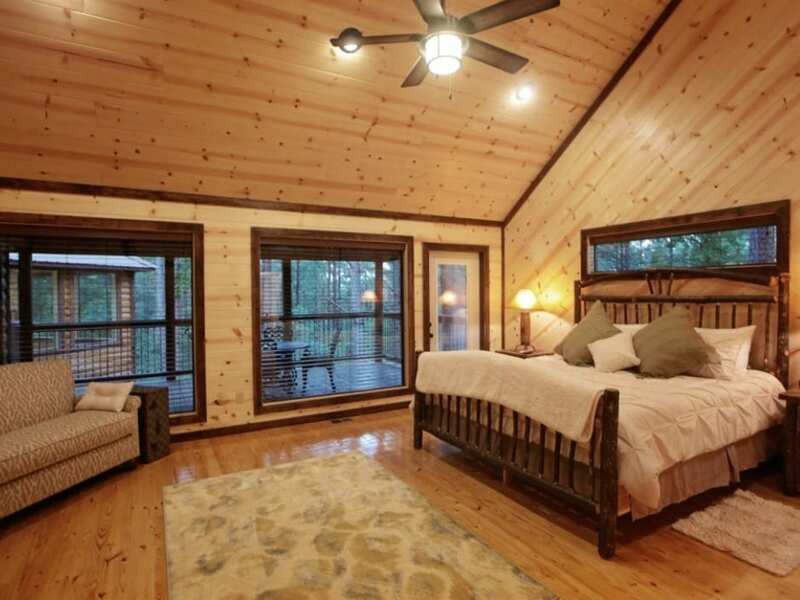 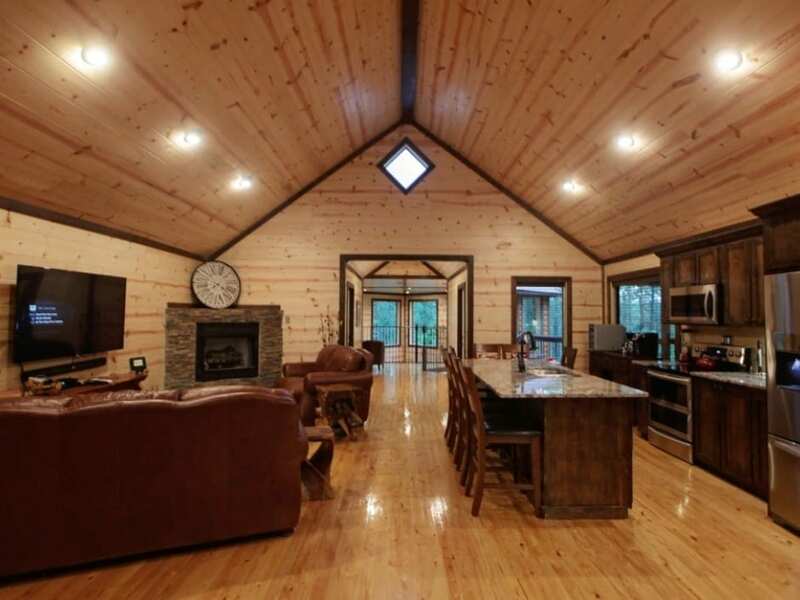 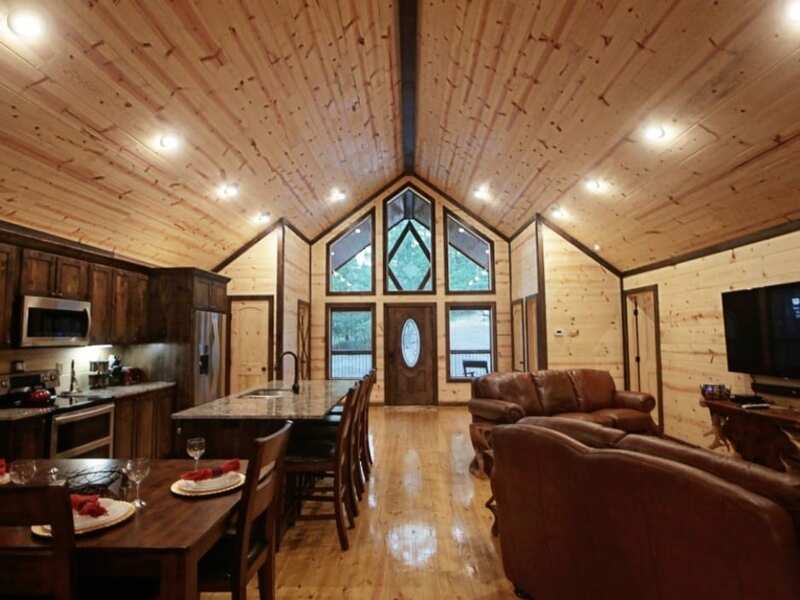 The cabin is perfectly suited for 2 couples with it’s two 400 square foot vaulted ceiling master suites. 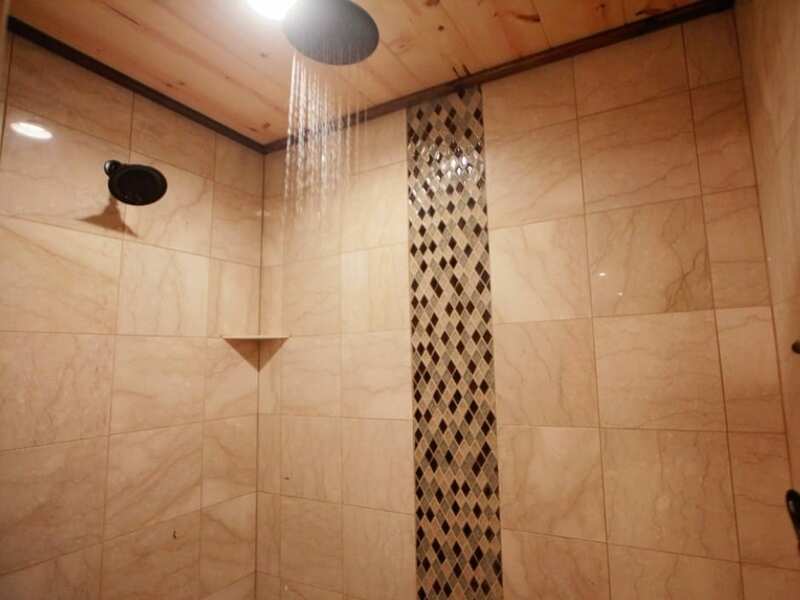 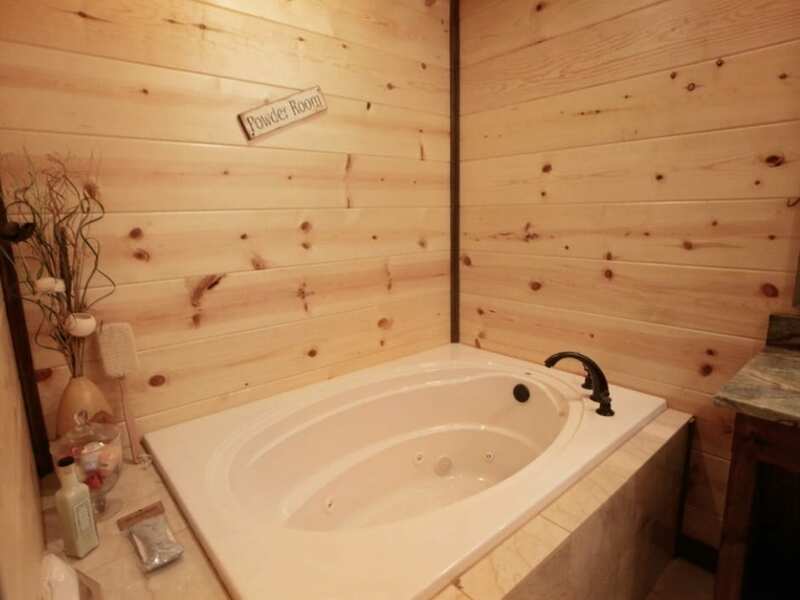 Relax in the jetted soaking tubs or enjoy the large dual headed marble shower. 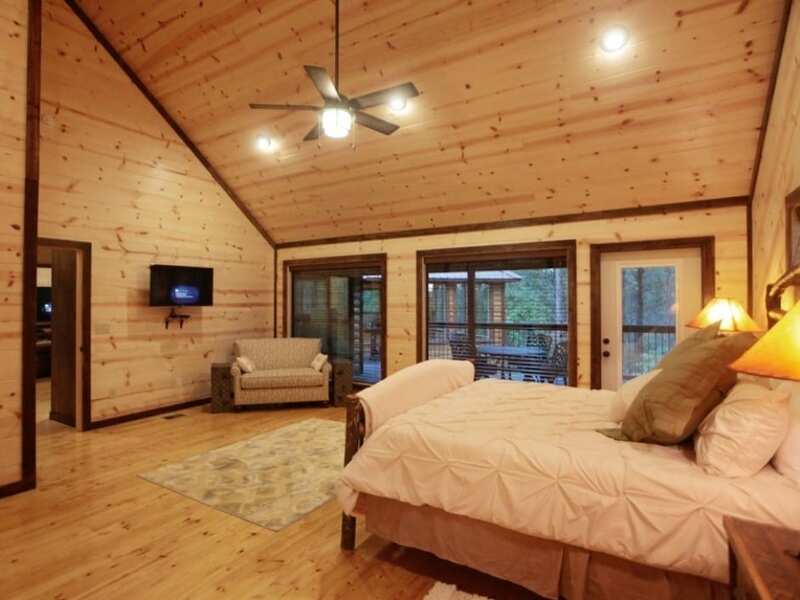 Each bedroom has its own private access to one of two large covered decks which are perfect for enjoying a morning cup of coffee or an evening glass of wine. 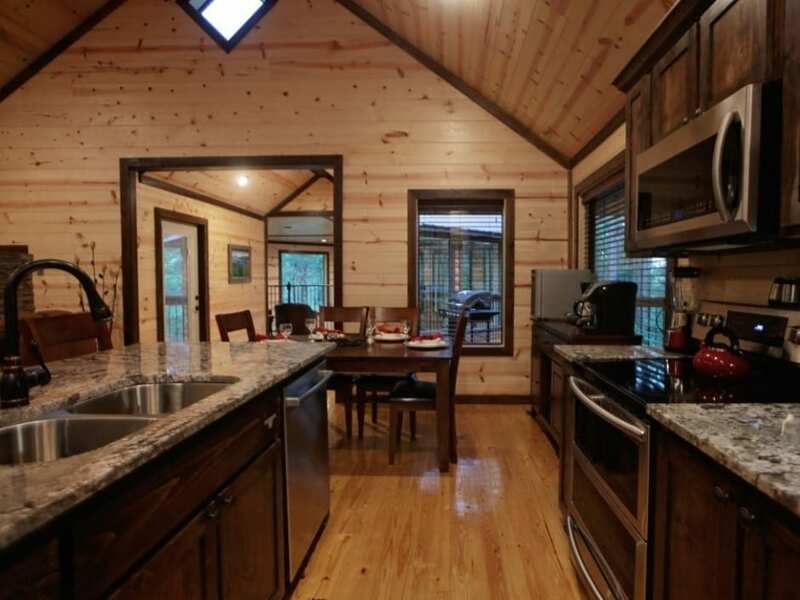 Enjoy meal preparation with the fully furnished kitchen and a full compliment of upgraded appliances. 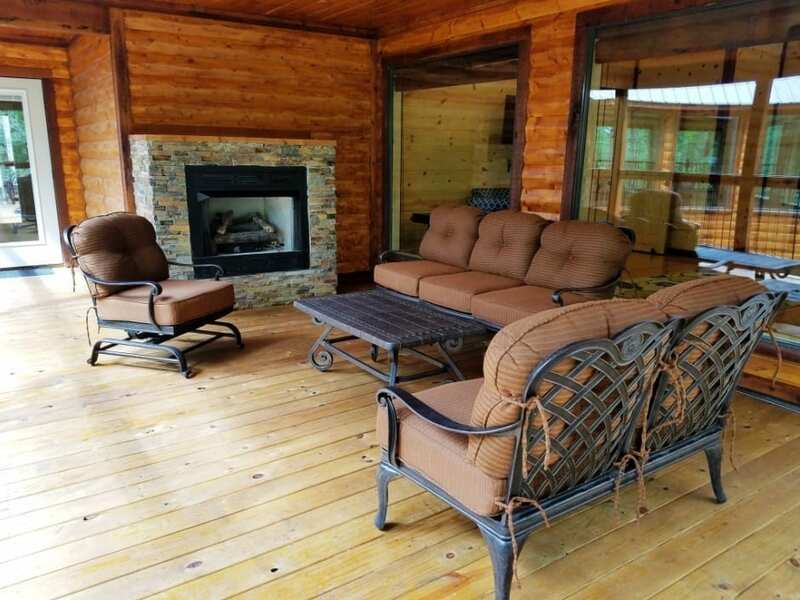 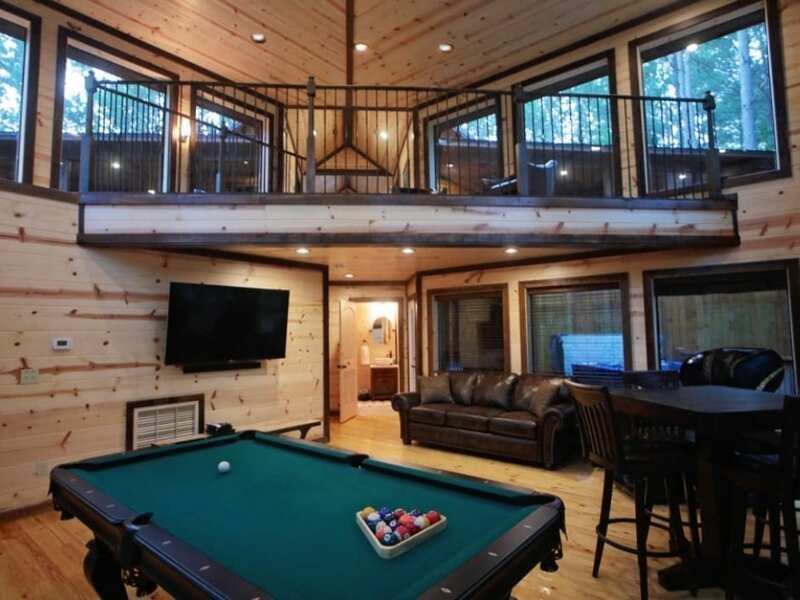 The cabin will easily accommodate 6 with the downstairs game room sleeper sofa.